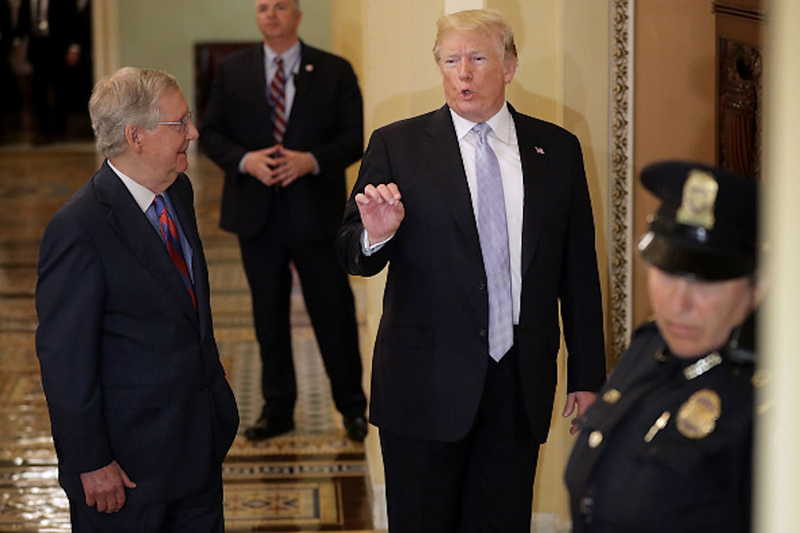 McConnell said in his speech it is likely the Senate will work between Christmas and New Year’s, “if necessary,” in order to pass criminal justice reform legislation before 2019. The Senate will now take on the bipartisan bill called the “First Step Act,” after pressure from the White House and other members of the Senate who have been pushing for the legislation to be passed. “At the request of the president and following improvements to the legislation that has been secured by several members, the Senate will take up the recently revised criminal justice bill this month. I intend to turn to the new text as early as the end of this week. So as a result of this additional legislative business, members should now be prepared to work between Christmas and New Year’s, if necessary, in order to complete our work,” McConnell said in his floor speech Tuesday. “Let me say that again. Unless we approach all this work in a highly collaborative, productive way and take real advantage of unanimous consent to expedite proceedings, it is virtually certain that the Senate will need to be in session between Christmas and New Year’s in order to complete this work,” McConnell continued. At the request of the president and following improvements to the legislation that have been secured by several members, the Senate will take up the recently revised Criminal Justice bill this month. Funding for the government was set to expire on Dec. 7. However, the House passed a two-week resolution to avoid a government shutdown by unanimous consent in a voice vote, meaning members did not have to be present for the vote. The bill was then approved by the Senate, which is in session, funding the government until Dec. 21.